Dogs' feelings about corn on the cob have already been established, but what does Rover think of the food he shares a name with? 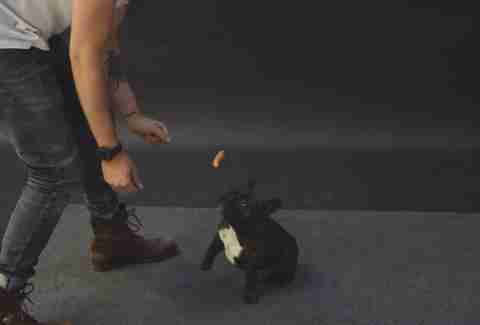 Magician Jose Ahonen levitated some franks in front of a bunch of canine volunteers to find out. Unsurprisingly, the dogs were all firmly pro-hot dog, except for an errant Collie and a suspicious Great Dane, who've probably seen too many friendships torn apart by the NY vs. Chicago frank debate. Kristin Hunt is a food/drink staff writer for Thrillist, but she's now planning to switch over to a career as a dog magician. Follow her to sleights of hand at @kristin_hunt.